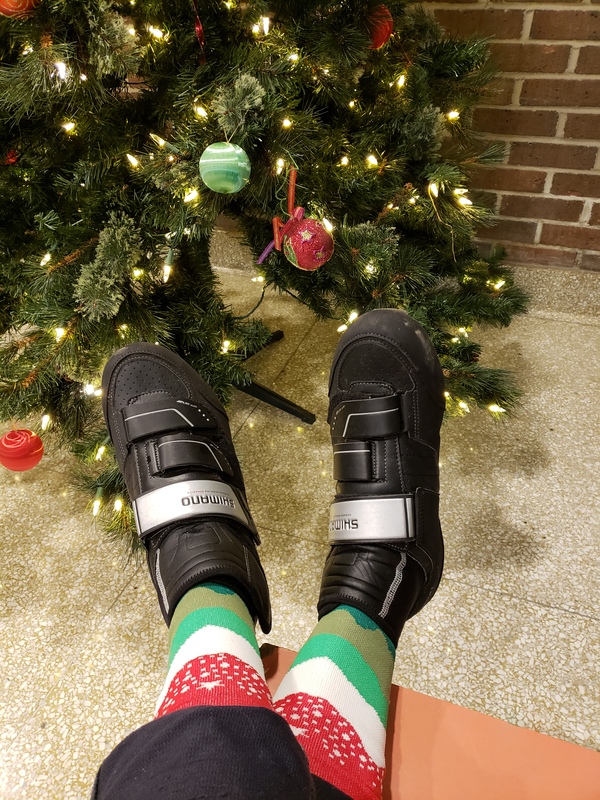 For this installment of the 12 Days of Randonneurmas, your guide to gifts for that beloved cyclist, I’m going to suggest an old standby: socks. The thing is, socks are no longer those boring white things from the 70s. 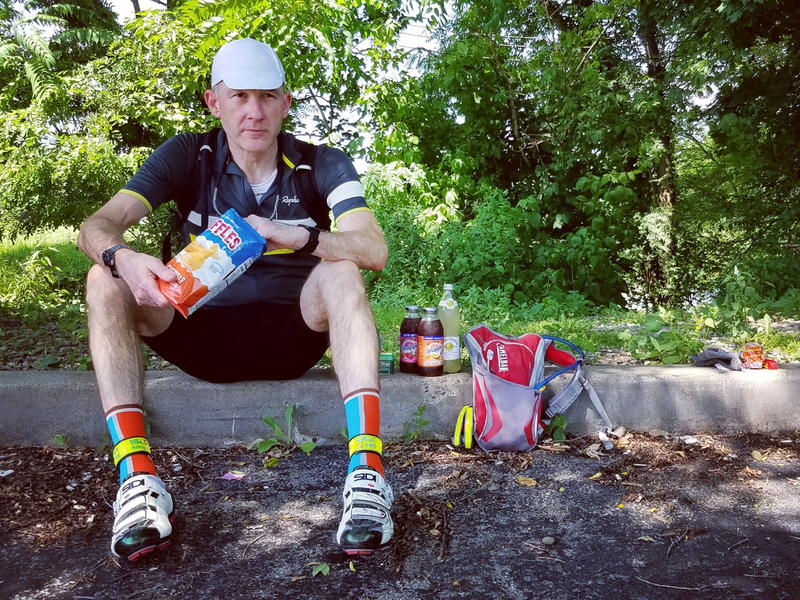 Cyclists take their socks seriously these days, looking for colors and designs that fit in perfectly with the rest of their gear and get them noticed. One of the companies that have embraced this aesthetic is Ridge Supply of North Carolina. They feature colorful models that evoke the vistas of the nearby Blue Ridge mountains and are designed to be visible to drivers. Mary gave me an early Christmas present this year with these limited-edition holiday socks from RS. I have other pairs to go along a particular bike or jersey. Who said socks can’t be fun? I’m also a fan of bike shop socks. 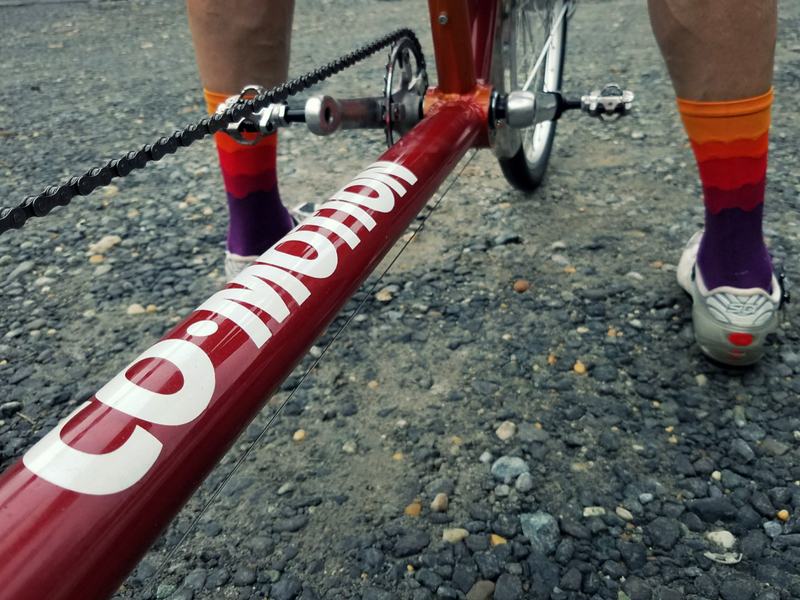 These are the two-tone socks that Crow’s Feet Common of Bend, Oregon sold me when we rode through in 2016. I hold them back for special rides when I want to channel the touring spirit. Another set I get out for special rides are from Cycles of Life Bicycles in Leadville, Colorado. 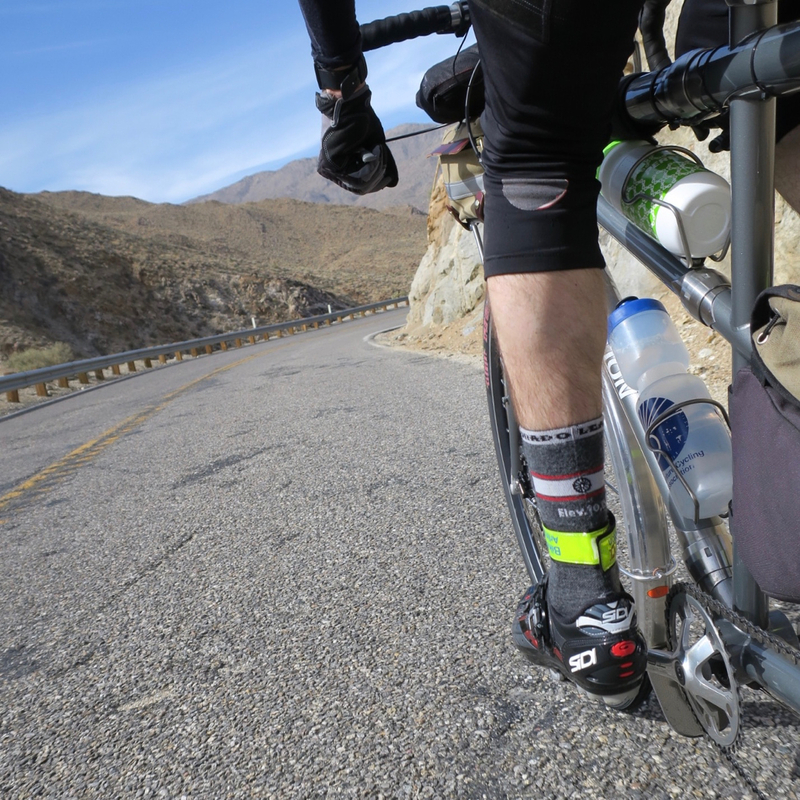 So, don’t be shy about giving a cyclist some new socks. They will thank you for it. Tomorrow: The traditional saddlebag goes on a diet.